The Pakistan Super League has been a great platform for the youngsters to showcase their talent. In the three years to date, many cricketers such as Fakhar Zaman, Hasan Ali, Shadab Khan, Mohammad Nawaz, Rumman Raees to mention a few, have gone on to play for Pakistan after proving their worth in the tournament. 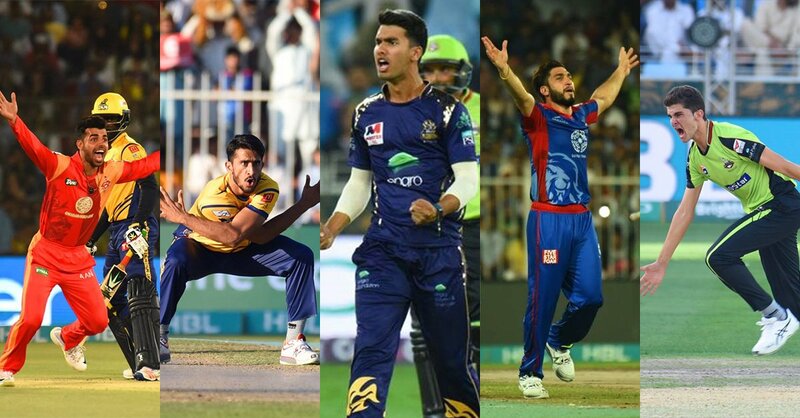 The PSL 2019 is now set to provide an opportunity for the next group of emerging to shine and use it a stepping stone in their dream of representing Pakistan at international level. In this column, we take a look at some of the emerging players to watch out for over the next few weeks. The 22-year-old Rizwan Hussain is a hard-hitting opening batsman from Lahore, who was picked by Islamabad United as one of the supplementary players from the emerging category in the players draft for Pakistan Super League 2019. “I used to play cricket in school. My teachers suggested to my parents to send me to a bigger city to become a cricketer. That was when I started to take interest in cricket,” recalled Rizwan. The 19-year-old left-arm spinner Umer Khan made a dream debut in first-class cricket this season when he took six wickets in Sui Southern Gas Corporation’s win over Peshawar in Karachi. Although he went unnoticed in the November 2018 PSL draft, Karachi Kings picked him in the replacement draft in January as 21st player. “PSL is a great opportunity for young players like me. If given a chance in the tournament, my aim will be to win it for Karachi Kings. As a bowler, I want to give tough time to the best batsmen in the tournament,” said Umer. “I was picked by Lahore Qalandars for PSL. The coach Aqib Javed has lent me lot of support. He took me to Australia and suggested me to observe cricket there,” said Haris. “This year I also got a chance to bowl at world’s best batsmen, including Virat Kohli, before the New Year Test in Sydney. I gained lot of confidence by bowling at him. The whole experience has been a good learning curve for me. The highly talented middle-order batsman Saud Shakeel is from Karachi where he started his cricket at the UBL Sports Academy. He is 23 years old and was part of the Pakistan team that played the ICC U19 Cricket World Cup final against South Africa in Dubai in 2014. He was first picked by Quetta Gladiators for the PSL 2018, but didn’t get any games. He is one of those players who was retained by the Gladiators for the 2019 season, he is likely to make his PSL debut this year. “My goal is to play for Pakistan in all three formats and I want to have a long international career,” said Saud. The 22-year-old top-order batsman Samiullah Afridi got the attention of PSL franchises when he scored an unbeaten 104 for FATA against an SNGPL team that comprised eight Test cricketers in the Quaid-e-Azam Trophy this season. “I was selected for PSL through a Peshawar Zalmi’s player development program. I scored over 400 runs in their Azadi Cup tournament and was declared as the best batsman,” said Samiullah. “I used to play cricket with my brothers. The people who used to watch me suggested to my eldest brother to get me admitted in a proper cricket academy because they thought I had the potential to play the game at higher levels,” said Ilyas.